A Russian migration official has told local media that CIA whistle-blower Edward Snowden could remain in the transit area of Moscow’s Sheremetyevo airport for several months. “He may remain in Sheremetyevo (airport) until his legal status is cleared. That procedure might take up to six months,” Vladimir Volokh, head of the Russian Federal Migration Service (FMS)’s public council, told the Interfax news agency. Volokh’s statements came as US Attorney-General Eric Holder informed Russian Minister of Justice Alexander Vladimirovich Konovalov that Washington would not seek the death penalty if Snowden were to be extradited. US officials have been urging Russia to hand over Snowden since his arrival in Sheremetyevo from Honk Kong on June 23. On July 1, Russian President Vladimir Putin said that Snowden could stay provided he “stop his work directed at hurting our American partners”. Snowden, the National Security Agency whistle-blower who leaked classified information to the media, officially submitted his bid for temporary asylum in Russia on July 16, after similar bids in other countries appear to have yielded no results. Some US officials have labeled Snowden a traitor and he has said that he fears for his life. Volokh said that keeping Snowden in the airport’s transit area was preferable to transferring him to a refugee shelter for security reasons. Alexei Kucherena, a Moscow lawyer assisting Snowden, blamed Washington for the apparent dead end. “All fault for that man finding himself a hostage lie with US authorities, who deprived him of the possibility to move,” Kucherena said. US authorities canceled Snowden’s passport in late June. Since then, the US has been trying to assuage fears that Snowden could be mistreated if handed over to Washington. “I can report that the United States is prepared to provide to the Russian government the following assurances regarding the treatment Mr. Snowden would face upon return to the United States,” Holder said in his letter to Konovalov. “First, the United States would not seek the death penalty for Mr. Snowden should he return to the United States.” In addition, “Mr. Snowden will not be tortured. 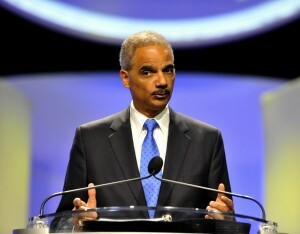 Torture is unlawful in the United States,” Holder’s letter said, as reported by the Washington Post. On Thursday, US Ambassador to Moscow Michael McFaul said Washington had asked Russia not to “extradite” Snowden but to “hand him over”. But President Vladimir Putin’s spokesman Dmitry Peskov dismissed the idea. “We have never surrendered anyone and we will never do so in the future,” Peskov said, but he added that Putin “has demonstrated strong determination” to avoid harming Russia-US relations. Senior journalist Dmitry Babich believes that the Snowden affair reveals a miniature model of ‘Moscow-Washington relations’ – “not too much love and a lot of malice”.